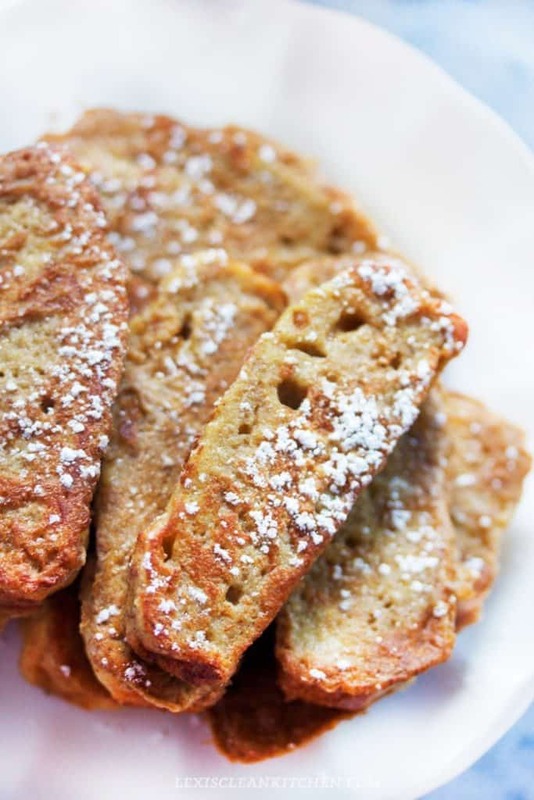 What is better than easy french toast sticks for a weekend brunch or breakfast treat? Everything is more fun when you’re dipping it into syrup, am I right? No seriously, dipping is just way more fun. These french toast sticks are the real deal. 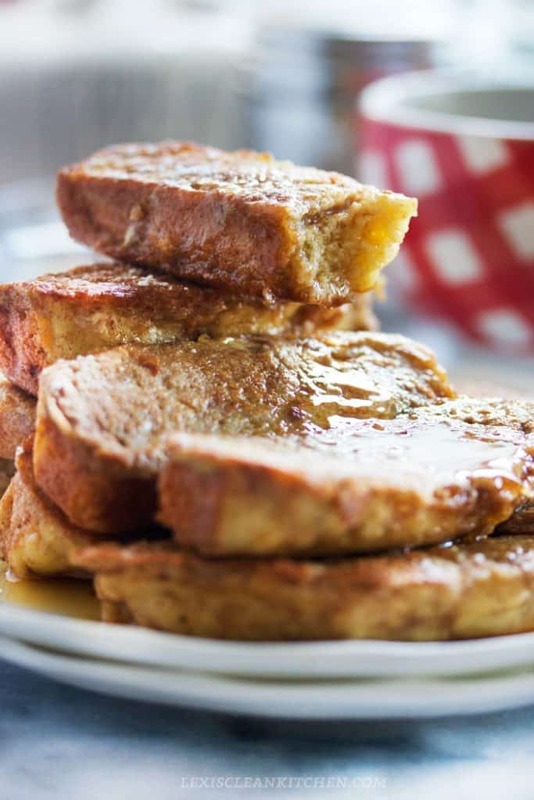 They use my sandwich bread recipe, which is a reader favorite, and the perfect french toast batter- like the kind my mom used to make, but guilt-free! These are… just the right amount of sweet, perfect bread texture, and reminiscent of your favorite childhood breakfast. Dip and devour! Don’t forget to freeze some for later, so you have an easy on-the-go breakfast the following week! Don’t forget, if you’re hosting a brunch for Mother’s Day, here’s my handy guide! Make batch of bread following directions on this recipe. In a bowl, whisk together eggs, vanilla, cinnamon, and milk. Dip bread into the mixture covering each side of the bread, repeat until all sticks are coated. Heat butter in a skillet and place coated bread pieces into the pan for 2 minutes. Flip, and cook for another 2-4 minutes on the other side. Remove and serve with syrup! *I doubled the bread loaf and used this mini loaf pan. Any pan will work! What is your all-time favorite breakfast that you no longer eat? Love that I’ll be able to freeze these for weekday breakfasts — nicely done! WOW these just look spectacular! Yummmm! I love French Toast! WOW!!! I am so impressed!!! These look like the little french toast sticks I used to get as a kid, so yummy! Oh I definitely see making these in the near future! These came out great. This is my go-to bread for basic french toast. 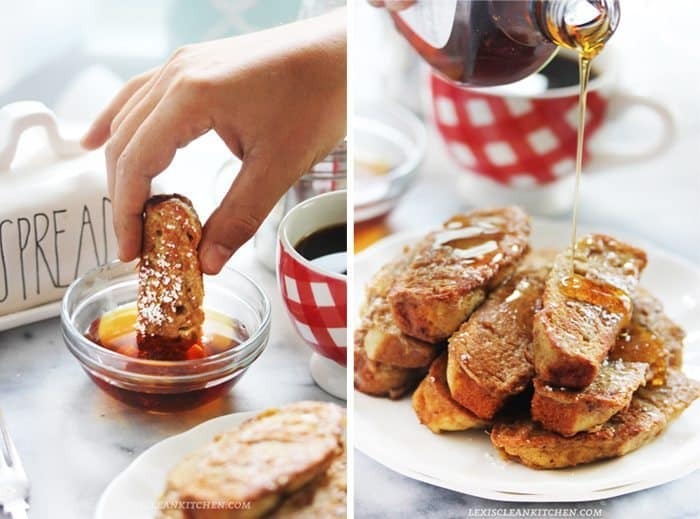 I also use another blogger’s banana bread recipe for a banana french toast. Wonderful! So so happy you enjoyed. Thanks for taking the time to write! These were such a huge hit with my kids last weekend that they are already asking for more this weekend. I will have the bread cooked in advance this time though. I doubled the bread recipe and cooked in a 9 x 5 pan for 40 minutes. Excellent recipe! The link to the sandwich rolls isn’t working. 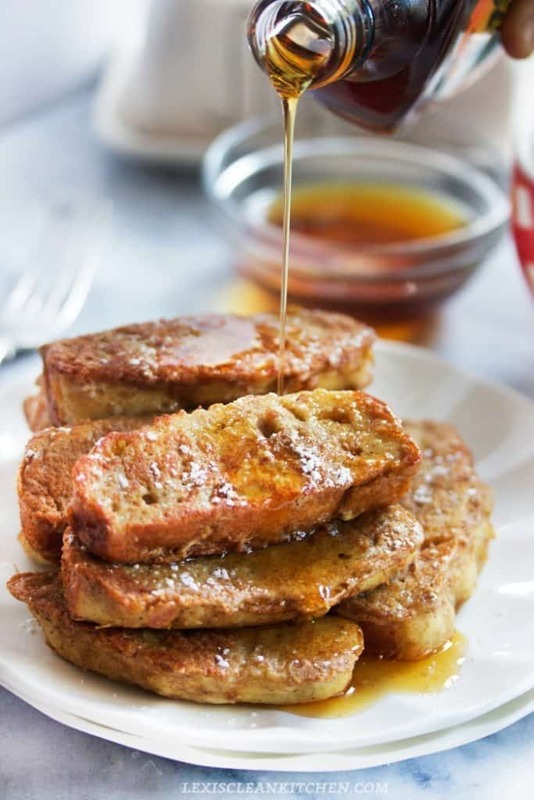 At what stage of the recipe do you recommend freezing the French Toast when freezing? How do you recommend thawing them out?